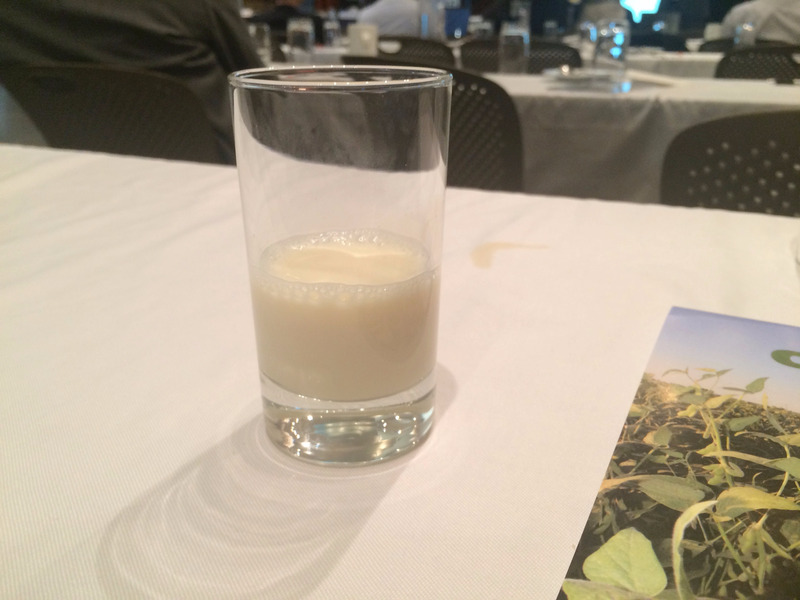 I’m not much of a soy milk fan, but something about it was different. 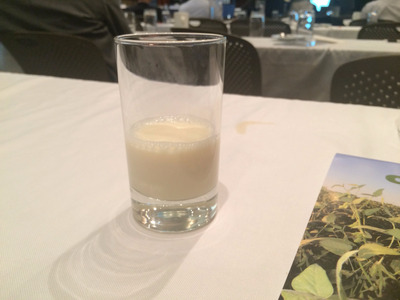 This was soy milk made from a special kind of soy bean that had a gene removed so that it wouldn’t have as much trans fat (a type of fat that gets added when soy beans are processed into oil that needs to have a good shelf life, but one that the FDA wants to get rid of in processed foods). And while that’s all great, my main question was how will this be different from GMOs. So, I asked Calyxt, the company developing this reduced trans fat soybean among other products and a subsidiary of the gene-editing biotech firm Cellectis. Genetically modified organisms have been a notoriously heated topic, which has seen its fair share of flops, including modified potatoes and tomatoes that have been shelved. What’s to keep gene edited crops from facing the same problems? But here’s what changed my mind. As I was talking to Calyxt’s CSO Dan Voytas, he explained the key difference between conventional GMOs, which add foreign DNA, and gene-edited crops: regulation. So far, it’s much easier to get the USDA to sign off on growing genetically edited plants, since they don’t have any of that foreign DNA, also known as “transgenic” plants. Take genetically modified corn, for example. It’s currently modified in two key ways: by adding either genes from Bacillus thuringiensis bacteria (known as Bt) to make it resistant to corn-loving insects, or genes from Agrobacterium to make it resistant to the weedkiller Roundup. In comparison, the genetically-edited versions that have been given the OK by the USDA remove certain genes to give them better qualities. For example, in April the USDA said they weren’t going to regulate a mushroom that had a gene deleted to prevent it from turning brown using the CRISPR gene editing tool (Calyxt uses a different gene editing tool called TALENs). The lack of regulation has only been clearly defined for plants where gene editing deletes a gene. Whether insertion of genes will fall along the same line remains to be seen. The USDA’s decision not to regulate has been met with some resistance from nonprofit groups that campaign against genetic modification out of concern about how new the gene-editing technology is. But less regulation could be the break that gene-edited foods need to become part of the future of food. It all comes down to how much it costs: Being regulated adds millions of dollars of development costs, which a company would have to pay to prove that their modified plant isn’t harmful to other plants. And that’s good news for researchers in academic settings who want to try their hand at making mushrooms that don’t turn brown or strawberries that are white inside of red, but don’t have the kind of money that agriculture companies have. “It’s becoming pervasive,” Voytas said. Now that it’s easier for academic researchers to pick up, he expects the amount of gene-edited options to increase at a much faster clip than it has in the past. But whether consumers will be interested in Calyxt’s crops remains to be seen. Calyxt plans to launch their first product by 2018. Other crops expected down the line will include reduced-gluten wheat and canola oil with less saturated fat. Most of the products Calyxt is working with are geared toward consumers, or the people eating the food. That means it will be up to the consumer to have interest in the new product, which could be a risky bet based on how GMOs played out in the public eye. Investors as well seemed cautious, but optimistic. SunTrust said in a recent analyst note following Calyxt’s May R&D day that they are “encouraged by the ability to create a nonGMO approach,” but still had questions about any regulatory changes that might happen or any other barriers that might stand in the way of getting their crops on the market.